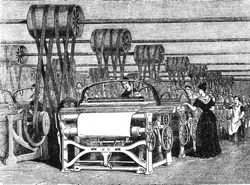 WebQuest: The Industrial Revolution: Good or Bad for England? The Industrial Revolution: Good or Bad for England? Welcome: The Industrial Revolution: Good or Bad for England? Description: A WebQuest that requires students to research the positive and negative effects of the Industrial Revolution in late 18th century England.